Odissi (Odishi) dance has that unique continuity which Odisha's cultural evolution has emphasised. What is danced on the stage, has also been sculpted on temples, etched on pothis or palm-leaf manuscripts and reflected in literary texts. Be it from the womb of temples through the maharis who performed for the Gods, or from village streets danced by the charming little cherubs, the gotipuas dressed as women, Odishi combines in all its aspects themes, abhinayas and mudras both the earthly and the divine. Like all great art forms it mediates between the sensual and the spiritual as Beethoven said of great music. Sonal Mansingh is an iconic dancer of Odishi. Her rise in this art form began in 1968 when she was selected by the Indian Council for Cultural Relations (ICCR) for a two-and-a- half-month tour of the USSR, Mongolia, Poland and East Germany. In February 1969 she took Odishi to the then Madras in an eight-concert series in every prestigious sabha. Indeed, her first concert of the series was preceded by a new genre of lecture -demonstration started by her, at the Museum Theatre attended by Rukmini Devi Arundale, M.S. Subbalakshmi, Guru Vazhuvoor Ramiah Pillai, Dr. V. Raghavan and other luminaries. At the end of the evening, Rukmini Devi said in her speech, that she now considered Odishi to be as "classical" if not more, than Bharatanatyam. It was also around then that she danced in Rourkela, Bargarh, Sambalpur, Baripada, Puri, Behrampur and Balasore in Odisha. Her association, first with Dr. Mayadhar Mansingh, an eminent literary figure, who translated a large corpus of the medieval love lyrics of Gopalkrishna, Banamali, Kavisurya and Upendra Bhanja into English, and later, a long association with Shri Jiwan Pani, helped her expand the repertoire and scope of Odishi by re-introducing indigenous Odishi music with the genres of Chhanda, Champu, Geet, Janana etc. in traditional tunes thereby drawing similarities with classical ragas from the Sangeeta Ratnakara. Jiwan Pani, the well known dance scholar, was her valuable academic colleague in the Centre for Classical Dance which she started in 1977. The Centre has, over the years, trained hundreds of young women and men in both Bharatanatyam and Odishi , some of whom are now dancing and teaching professionally. She began to embellish her stage performances with the introduction of each segment of the recital with lucid commentaries to enlighten audiences in India and abroad. Later, many dancers began to follow this practice. The identity of Odishi music, as distinct from Hindustani and Carnatic schools, has been discussed and asserted by scholars, singers and musicologists for a pretty long time. Perhaps the first seminar on the subject was held in1983 in Delhi with stalwarts like Dr. Sumati Mutatkar, Smt. Radha Krishnamurty, Pandit Kashinath Pujapanda, Dr. Markandeya Mahapatra, Pandit Nilamadhab Panigrahi, Sangeetacharya Bankim Sethi etc. The Geeta Govinda and the medieval love lyrics of Odiya, referred to earlier, have been the mainstay of Odishi . The maharis, whom social anthropologist, Frederique Apfel-Marglin calls "wives ofthe God-king", depended exclusively on the Geeta Govinda. Sonal's re-rendering of its ashtapadis in the ragas given in the manuscripts and found in the Sangeeta Ratnakara, namely, Karnaat, Varadi, Gujjari Ramakri, Gunakari, Desakhya and so on have opened up an entirely new dimension for singing and abhinaya. Abhinaya is the soul of classical dance. The great dancers of history are able to move their viewers because they submerge their heart in the bhava of the lyric and delineation of rasa. Sonal has revealed her unparalleled excellence in this. Yatindra Mishra, in his book, Devapriya, has listed the dance items she has choreographed since 1962, from when she performed the Chaturanga based on the interpretation of some of Rabindranath Tagore's songs, till 2007 with her performance of Kasturba. Among them, particular mention may be made of Draupadi, Panchakanya, and Searching for Krishna, which brought together Vishnu Shodasa Nama, Krishna Karnamruta and Sitakant Mahapatra's Jara and three plays of Kalidasa, namely Meghadutam, Ritusamharam and Kumarasambhavam. Sonal brought into the fold of Odishi several non-classical items. For example, her training in Maryurbhanj Chhau from Guru Anantcharan Sai which combines elements of the martial and tribal, helped her introduce the tandava element into the lasya-dominated Odishi. She also introduced themes from Odiya Pala in a cutting edge way into Odishi in her choreographies, Sunayana and Sukuntala, which gave a hitherto unknown depth and richness to abhinaya in Odishi . She also composed dances on the works of contemporary Odiya poets, on folk and popular songs, while at the same time, keeping the classical-ness of the dance form intact. One of her popular folk-song presentations is Kaluri Benta, a story that uses the playful and happy frame of folk themes. 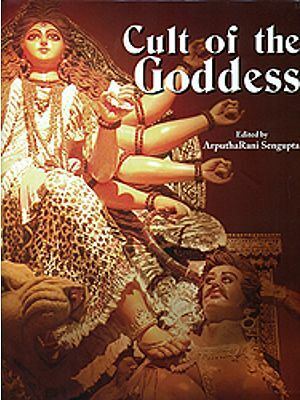 She also brought into the fold of Odishi dance, for the first time, some rarely heard Chariya Padas, (Buddhist Tantrik esoteric poems) considered the beginning of the Odiya poetic tradition. Rasas are not unilinear; often they are a complex combination. Like our feeling and emotions, they too swiftly change from one to the other and give depth to meaning. In turn, the mudras of dance and abhinaya have to render them aesthetically and subtly. Sonal excels in camouflaging love, pretended anger, anguish and genuine abhiman. She has emphasised the need for greater understanding of the meanings of the compositions by dancers because abhinaya seeks to render the essence of that bhava. The words or lines in a composition are not merely letters of the alphabet. They are the crystallisation of emotions. Commenting on the legendary dancer, Nijinsky's performance, Paul Claudel speaks of "the possession of the body by the spirit; for a second the soul carries the body, the vestment becomes aflame." Great dancers seek to achieve that ultimate goal. It is the vibrant movement culminating in static ecstasy when loveliness and joy craft a poignant melancholy. In Odishi, Kelucharan achieved it and in many of her performances, Sonal has achieved such poignancy.